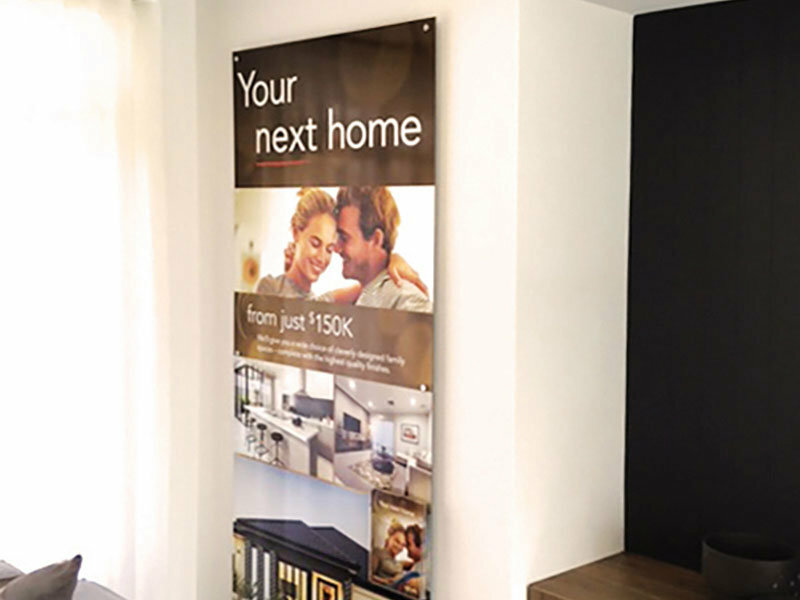 We were engaged to roll-out new internal signage across Aveling Homes’ 24 display home locations. 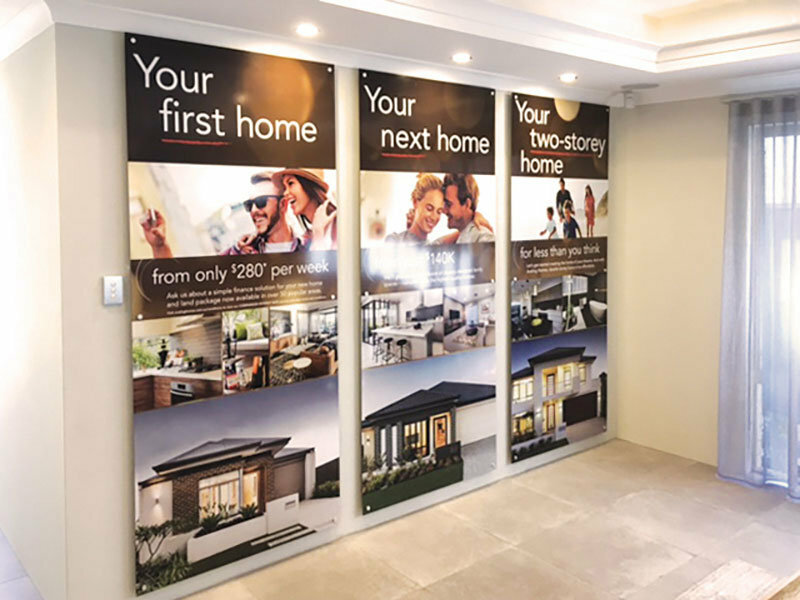 The brief was to replace the existing internal signage that featured home floor plans and replace with a signage solution that conveyed brand messaging. We rolled out a series of 6mm clear acrylic wall panels with printed face self adhesive applied and installed to the wall via stand offs throughout each home. The result is professional looking signage that reflects the quality of Aveling Homes’ brand. 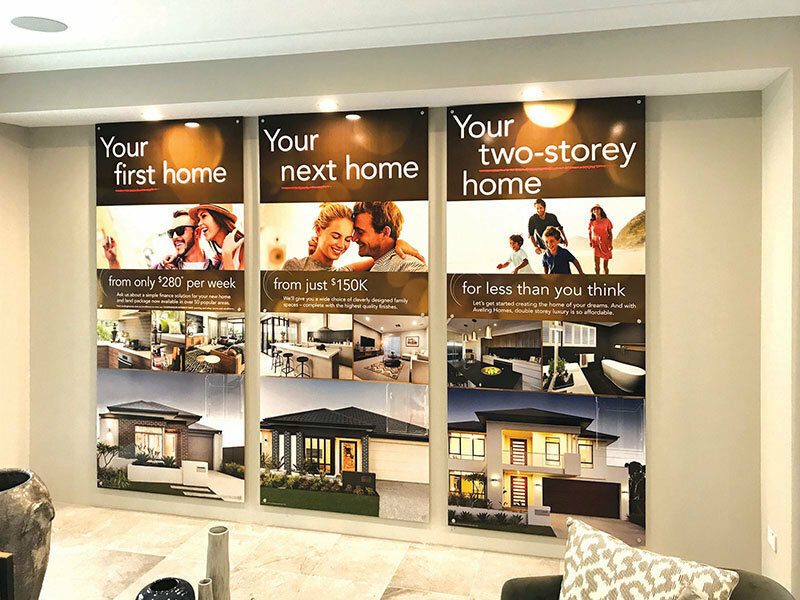 The new internal signage complements the existing exterior display home signs that we produced, including pylons and garage banners. All 24 locations across wider Perth were installed within a week.